She was incubating and clamoring for breakfast. 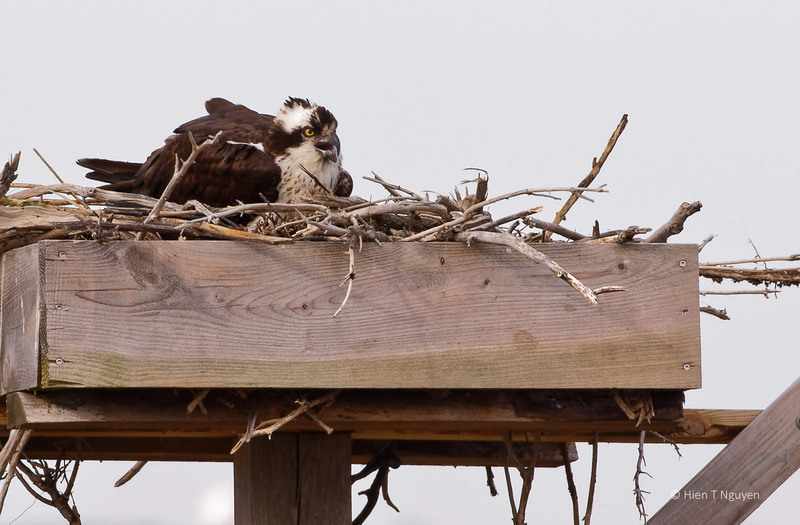 Female Osprey incubating, calling out for her mate. 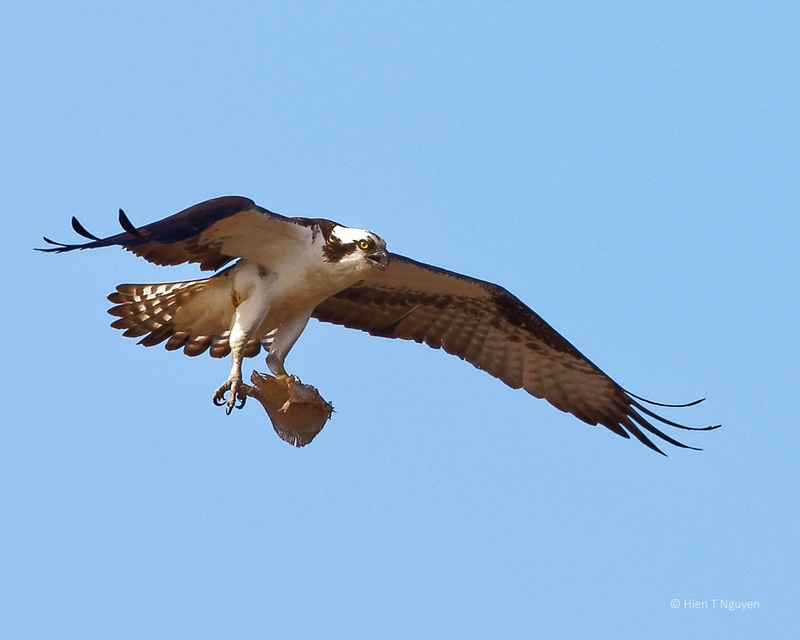 Male Osprey bringing part of fish. He had already eaten the fish head. 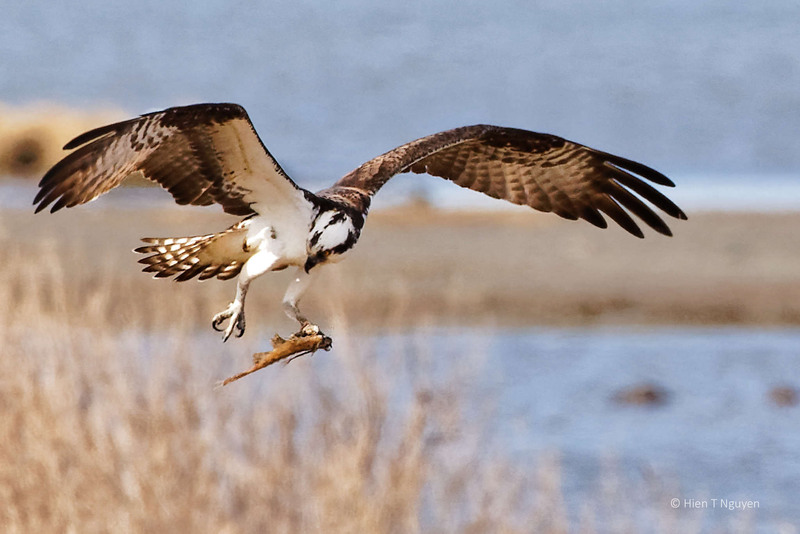 Male Osprey and part of fish. 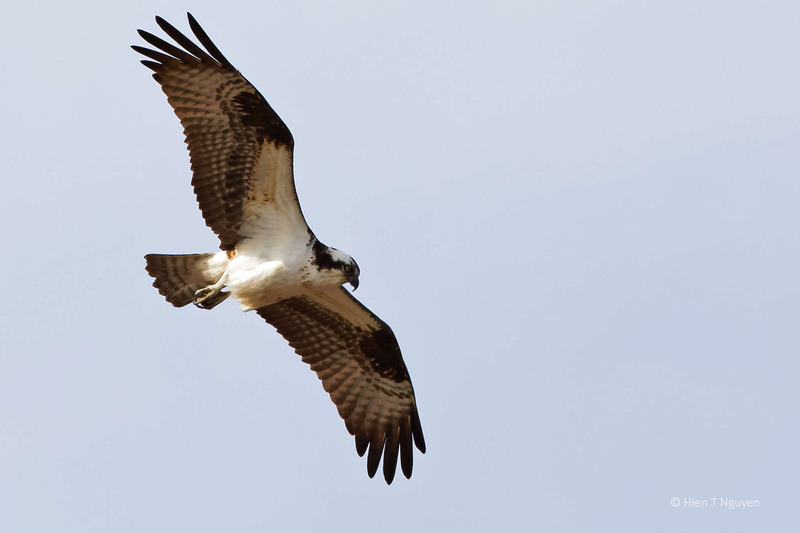 He flapped his wings and stayed up in the air. 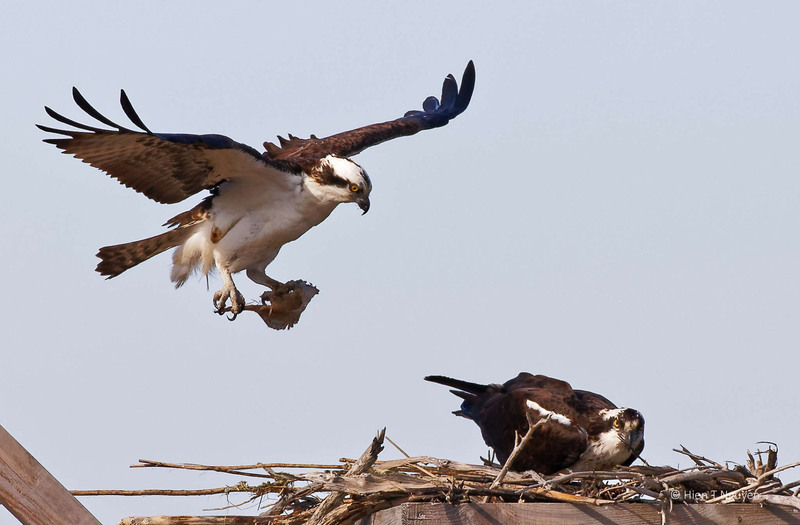 Male Osprey landing on nest. 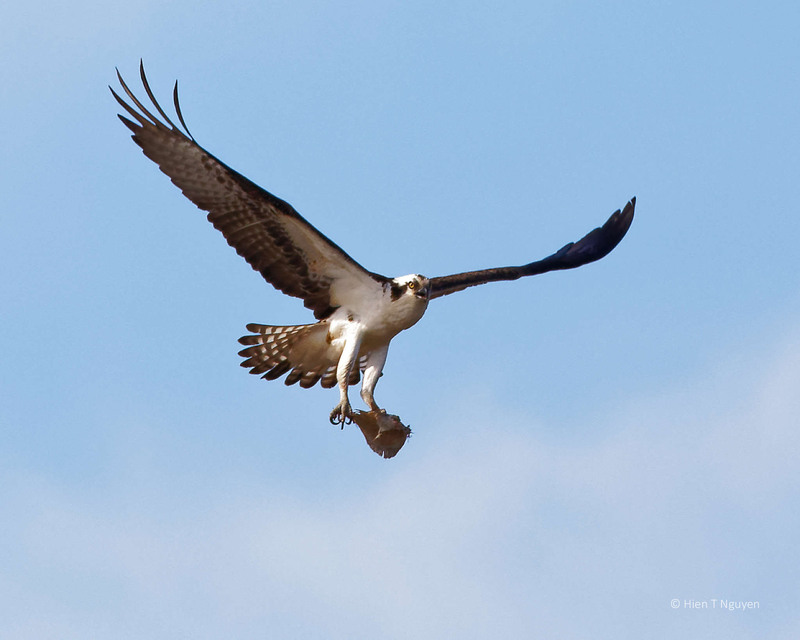 As she ate, he pushed her aside to get an older piece of fish. He took the older piece away to where he was eating before. She went on eating her breakfast. 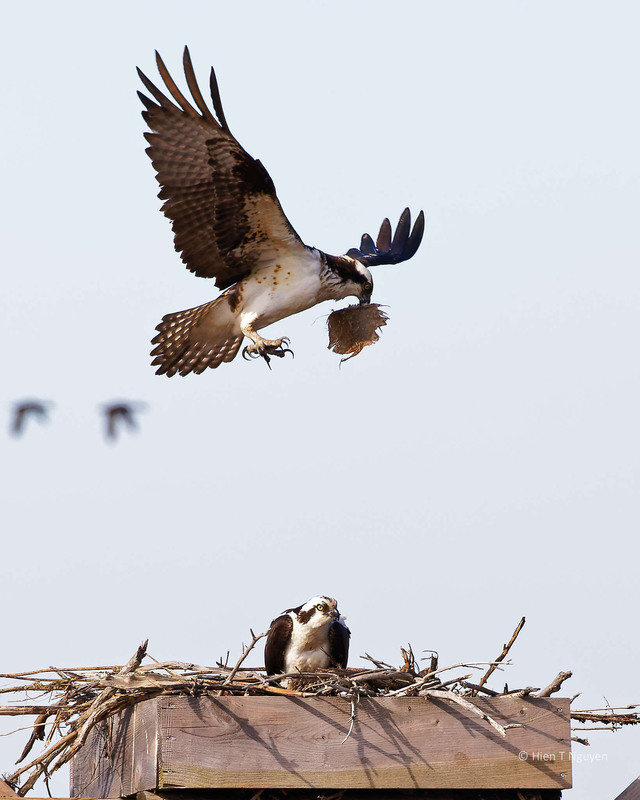 A fascinating look at the interplay between the osprey! Keeps the great photos and stories coming please. Thank you Jerry! I will probably have more photos of this couple as the season changes. Great series, thank you. Hien. Oh, dear. He seems a little self-centered. Do you think they are staying together for the sake of the children? Thanks Lois! There is no divorce law for wildlife. 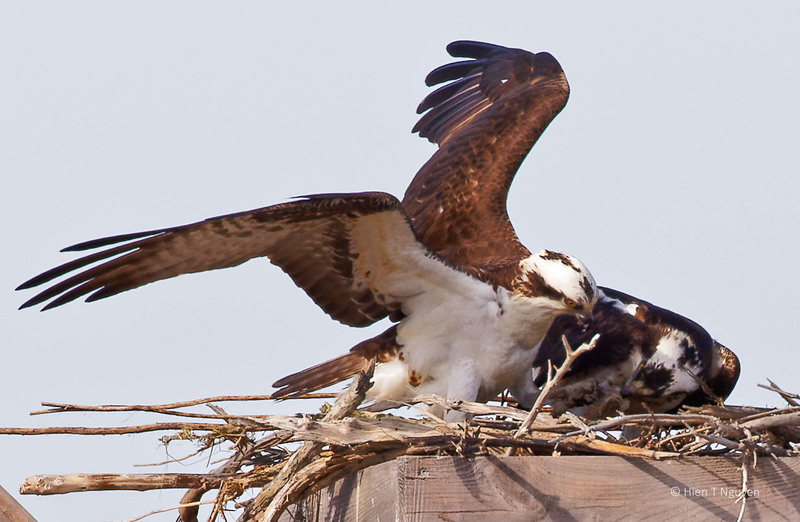 Birds usually mate for life, until one of the two dies. Thank you Helen! That last photo is open to different interpretations. Interesting that they swapped food. Guess she likes hers fresh! Don’t we all (like fresh seafood)! He had a hoard of food (fish, I guess) on the ground. Some seagulls were very interested in that.